Add a couple slices of warm Cecina to the bottom half of a toasted ciabatta roll. 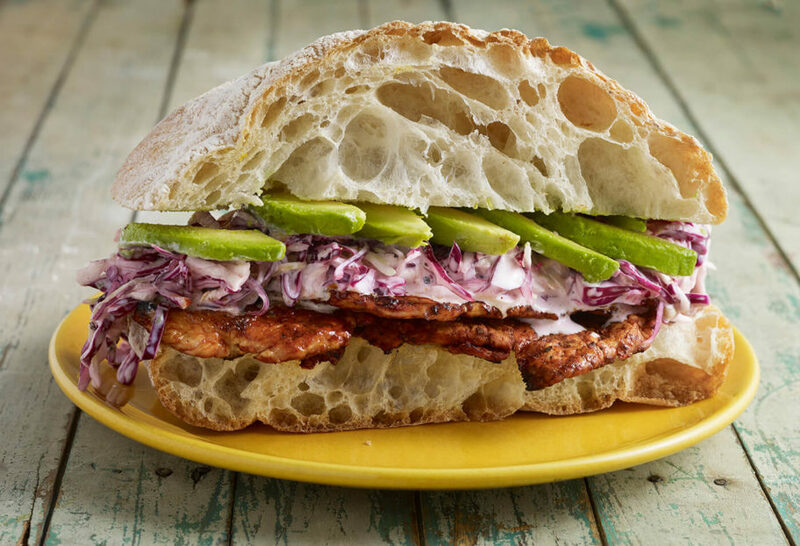 Top with Creamy Slaw and the avocado slices. Serve immediately. Just watched this episode and can not wait to make this. Looks delicious! !!!! Thank you so much for all your wonderful recipes!!! So happy to hear that this is your new favorite sandwich!